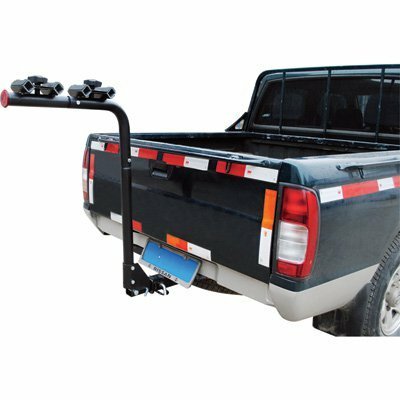 This steel hitch mounted 4-bike rack is a great alternative to putting your bikes on top of your car, forgetting they're there and driving into the garage. The fold-down steel design allows quick access to the rear of most vehicles. Use the included extension to easily convert from a 2-bike to a 4-bike rack. This unit mounts in a 2in. receiver and handles up to a 120-lb. load. Lockable design adds security (lock not included). Durable, corrosion-resistant powder-coat finish. 33 1/2in.L x 42in.H.